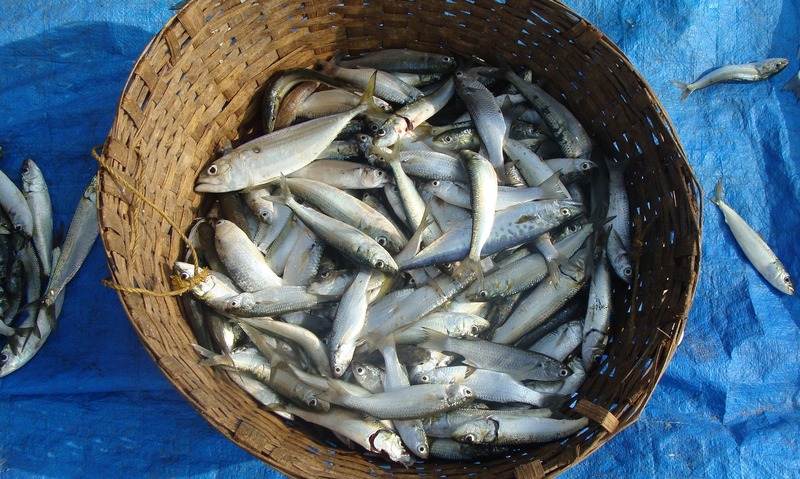 Fish is one of those things that you can get from actually eating fish or taking as a supplement. It’s a very popular supplement as well. This should come as no surprise because of how healthy fish oil actually is for you. If you don’t know how healthy fish oil actually is, be ready to take some notes. You’re going to see a ton of fish oil benefits that can all be applied to you. The types of fish that are especially abundant in fish oil, or omega-3 fatty acids, are mackerel, herring, tuna, salmon, and cod liver. Having fish oil is going to be highly beneficial for your health. It’s not something that you need, but it’s something that can take your health from being mediocre to healthy with very little problems. It’s recommended by the World Health Organization that you have around 2 portions of fish per week so that you can reap the benefits of fish oil. When we talk about the benefits of fish oil, we are also talking about the benefits of fish oil pills. What’s fish oil good for? What are fish oil pills good for? How can they help you? 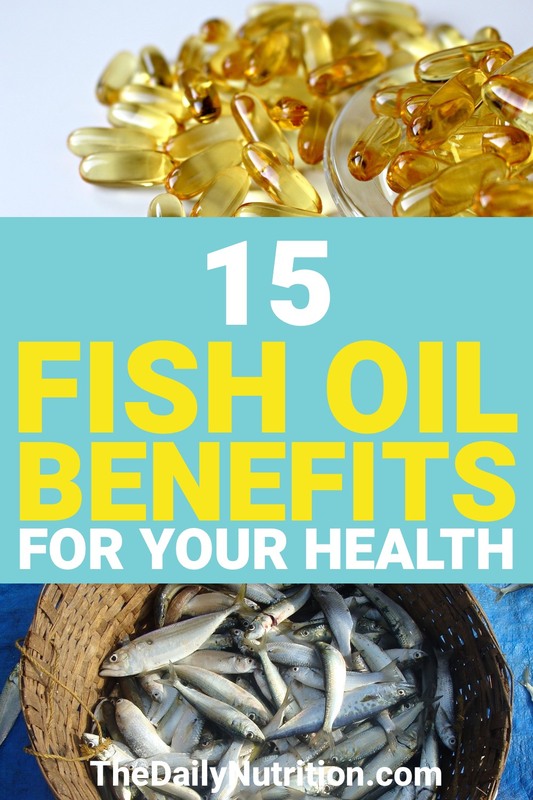 Below are 15 fish oil benefits that you should be aware of. All of these benefits can be utilized just by taking a simple supplement or eating a fatty fish. The retina of your eye has an omega-3, DHA, that is a huge component when it comes to the actual structure of your retina. If you don’t have enough DHA, you could start to experience some vision problems. When you consume enough fish oil, you’ll start to reduce your risk of macular degeneration. Macular degeneration is the leading cause of permanent eye damage and blindness. Nobody wants to go through life struggling with their vision when they don’t have to. Consuming fish oil is going to help give you a much better shot at maintaining good eyesight for life. Taking omega-3 supplements daily will help you a ton. If you aren’t the type to enjoy fish all the time then this might be the best way for you to go about things. Obesity is a problem that is very apparent in America. It’s one of the biggest problems people in this country face. Overall, we are as unhealthy as a nation can probably be. Omega-3 fish oil can help with this. You aren’t going to need to worry as much about your weight. The reason fish oil helps so much with weight loss is that it improves your body composition which can improve your heart health, thus lowering your risk of heart disease. Having your fish oil with a nice, balanced, healthy diet is going to give you the best chance at reaching a healthy weight. If that’s something you want to do. If you didn’t know, your skin is actually considered to be an organ. It’s actually the largest organ in your body. Knowing this now should make you want to take better care of your skin. If that’s something you’ve neglected up to now, you need to start considering changing something. As you start to age, your skin health can start to greatly decline. 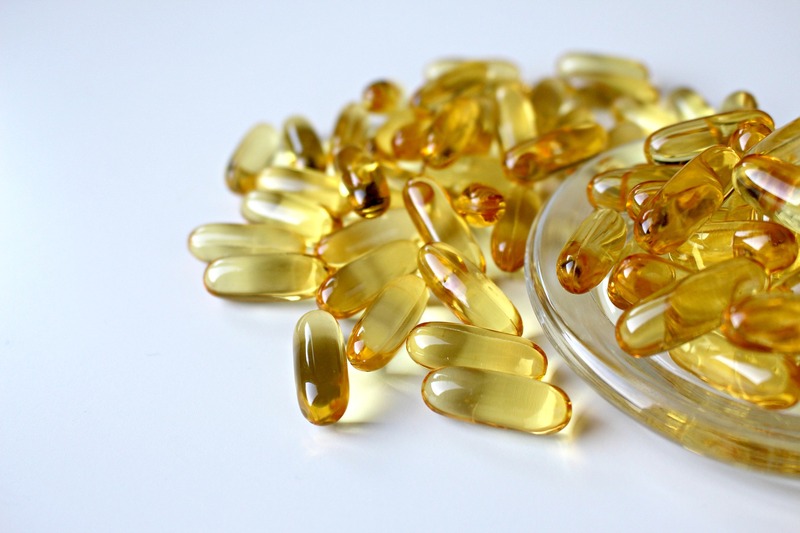 Taking a fish oil supplement can greatly slow down the decline of your skin health. If you are somebody that needs even more help with their skin, you should consider adding something like goji berries to your diet on top of any fish oil supplements you may be taking. As most people age, we know that our brain is going to slowly get worse as well. It’s just a part of life that happens to a majority of people. For some people, something like Alzheimer’s is a serious concern. Alzheimer’s is going to rapidly increase the decline of your brain. If you want to slow down this process and possibly prevent yourself from ever getting Alzheimer’s, you should start incorporating more fish oil into your diet immediately. This doesn’t mean that you have no risk of developing Alzheimer’s, but having fish oil daily can greatly improve your chances of fighting off Alzheimer’s for as long as possible. Asthma is something that’s absolutely a struggle to deal with for a lot of people. It’s much worse for people that are younger. However, there are adults that suffer from it relatively bad too. If your child suffers from asthma, it could be a good idea to start feeding them fish oil. It doesn’t have to be high doses of fish oil, but the more they can get, the better off they will be when it comes to their asthma. 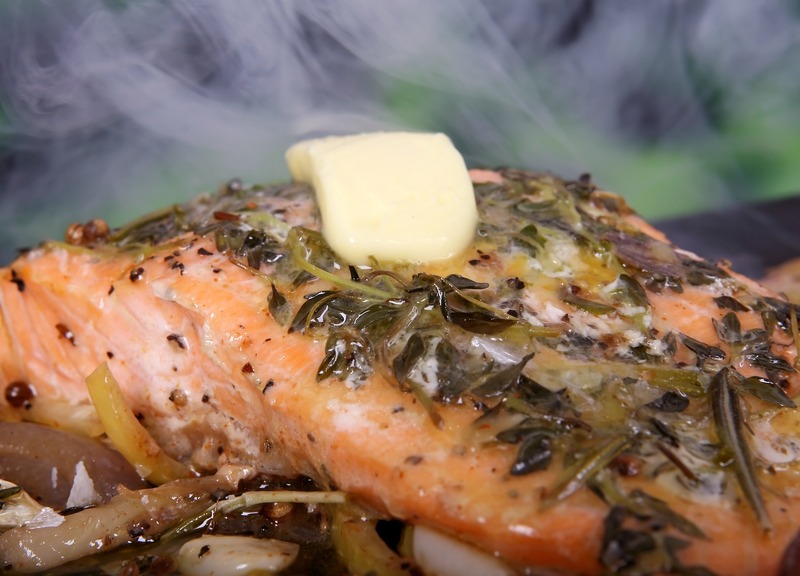 Fish oil has been known to reduce the risk of asthma by about 25%. This should be eye-opening enough to prove that fish oil will help you. This is one of those fish oil benefits that should take a priority in your life if you care about your health and your child’s health. If you say that you don’t like sleep then you’re a liar. Everyone loves getting their sleep. Some of us struggle a little more than others when it comes to sleep, but it’s something we all need. Getting adequate sleep is going to help you stay healthy. A lot of problems start to arise when you get less and less sleep. Having low levels of omega-3 oils is associated with having sleep problems. This is going to significantly obscure your sleep. Having low levels of DHA, mentioned a little earlier, is also associated with having lower levels of melatonin being produced by your body. Consuming fish oil is going to raise your DHA levels, thus helping your body produce the melatonin it needs to get an adequate amount of sleep on a nightly basis. Having depression puts you in a category of people that have one of the most common mental disorders in the world. There have been studies done that have shown taking something like fish oil pills will help symptoms of depression dissipate. This doesn’t mean that you will be completely cured of depression, but anything that can help fight the symptoms and make you feel better is a plus. Having non-alcoholic fatty liver disease can be extremely detrimental to your health. Your weight has a lot to do with this. If you don’t have your weight under control, you are much more likely to develop non-alcoholic fatty liver disease. When you start consuming fish oil, you have a better chance of reducing liver fat. This is going to lead to a healthier liver. Not only is this going to happen, but the fish oil is also going to act as an anti-inflammatory for your liver. Cancer seems to be something that’s becoming much more prevalent in today’s world. 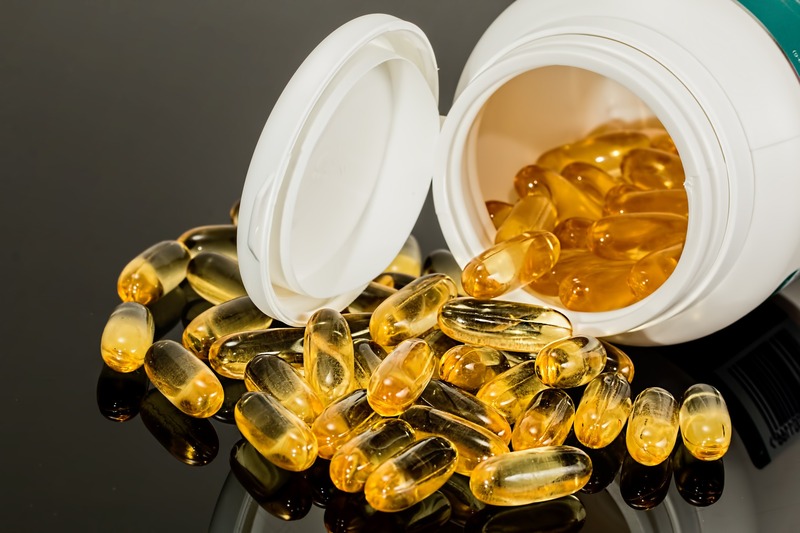 Having fish oil in any form, whether it be fish oil pills or other types of omega-3 supplements has been shown to reduce your risk of certain cancers. Namely, for men, your chances of prostate cancer are reduced and for women, your chances of breast cancer are reduced. There is no certainty that fish oil will prevent you from getting cancer, but there is evidence that shows how much it actually helps when it comes to having cancer. Attention deficit hyperactivity disorder (ADHD) is something that more and more kids are being diagnosed with. Luckily, fish oil can help with this. Having a daily dose of fish oil can help all kids that have ADHD. Taking any supplements have been shown to reduce the symptoms of ADHD. Fish oil is going to decrease hyperactivity, restlessness, and aggression. All of these are signs in children that have ADHD. For people that are really starting to age, they may start to experience much more bone and joint pain. This is just something that happens to people when they get older. Fish oil can boost the calcium that you have in your bones. This is automatically going to help improve your bone health. You won’t feel as though your bones are weak. You may not feel like you’re 18 again but you won’t actually feel your age. For women that are newly pregnant, fish oil can greatly help with the development of your child while it’s in the womb. If you get enough fish oil during your pregnancy, you’re going to experience numerous health benefits for your child once they are born and start to grow up. These benefits include, better communication skills, decerased developmental delay, and higher intelligence. If you’ve ever experienced a significant amount of inflammation then you know exactly how painful it could actually be. Anything that can reduce the inflammation you’re experiencing is going to be a huge relief. Fish oil can help reduce molecules that cause inflammation. This is going to lead to less pain and inflammation in your immediate future which is something that’s always a positive. If you have an autoimmune disease, your body is attacking the healthy cells that are supposed to be helping you. There have been studies that show how fish oil during your early years of life can help significantly reduce your risk of autoimmune diseases in your future. For example, type 1 diabetes is something that fish oil can help with. Your body will tend to attack cells that are producing the insulin your body needs. Fish oil is going to help your body manage this much better. Everyone not only wants to have a healthy heart, but you need to have a healthy heart if you want to live a longer life. Nobody wants to go through life worrying about whether or not they have to live to experience a couple of heart attacks or not. Fish oil can help improve your overall heart health. For example, fish oil is going to help your body when it comes to blood clots. This means that your arteries are going to be much smoother than usual. This also means that your blood pressure is going to be more regulated. On top of all this, fish oil can raise your good cholesterol levels. Consume fish oil whenever you feel like you need it. The side effects of fish oil are very minimal so you don’t really have to worry about an exact number of grams of fish oil that you need to consume on a daily basis. Get your fish oil through supplements or eating fish itself. This is going to greatly help your body in the present and future. Be ready for a healthier you after you incorporate fish oil the way you should in your life. Enjoyed 15 Fish Oil Benefits and What Fish Oil is Good For? Share it with your friends so they to can follow The Daily Nutrition journey.